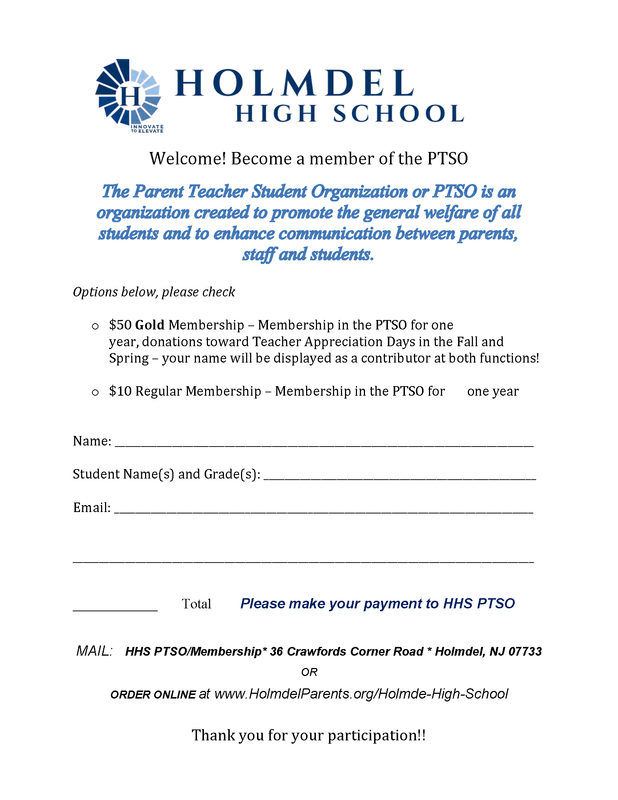 Each year the Parent Teacher Student Organization (PTSO) has raised funds to support the students of Holmdel High School for special activities and gifts for the students. We are asking that each family make a contribution of $75-$100. We need your help to make this drive successful, so that we may continue to provide the same level of support and services that we have traditionally offered our students. Also note that some companies will match donations to our school. This is an easy way to double your contributions! Please ask your employer if they participate in matching funds and remember to register with them when making your donation. Through the generosity of last year’s contributions, the PTSO has purchased 60 Logitech Wireless keyboards, 4 Stage Risers, 1 large size color copier, 1 Park Bench, 1 Epperson Test Scoring Machine and many Cooking related items for the Culinary Arts Program. 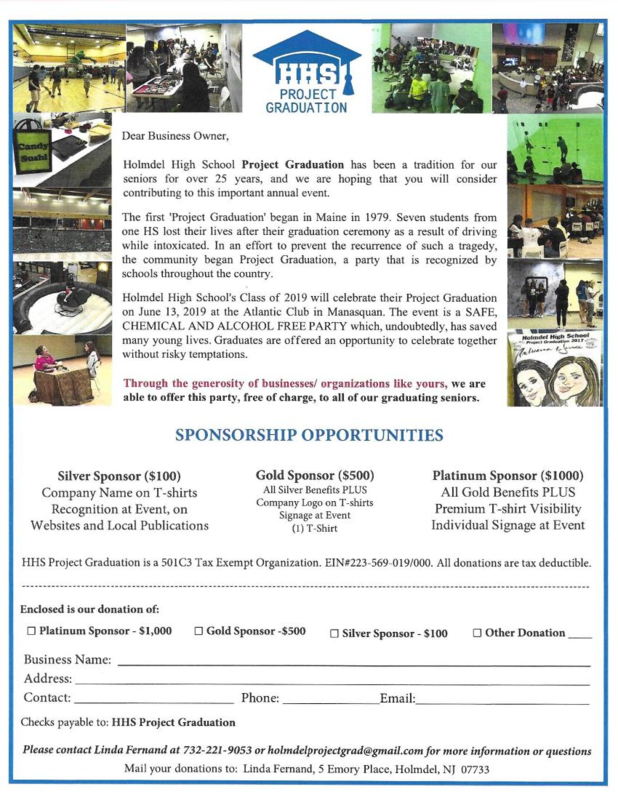 In addition, we continued to support Project Graduation and the Junior Prom with a $1000 contribution for each event. We funded the Student Scholarships, Service Awards, Student Directory and Hospitality events at approximately $7,000. The PTSO also contributed $500 for the program Heroes for Cool Kids. As you can see, each and every contribution plays a vital part in the success of every student’s Holmdel High School years! With your support, we can achieve our Annual Fundraising goal of $15,000. Your generosity is greatly appreciated.